Kedarnath is a holy Hindu town located in Rudraprayag district of Uttarakhand in India. 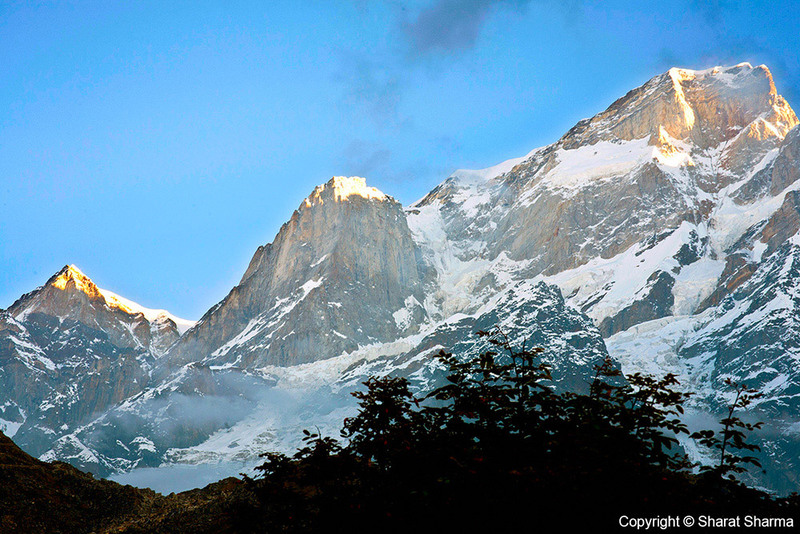 It is one of the Char Dhams located in the Himalayas. Kedarnath is situated at an astonishing height of 3584 meter above sea level near the head of Mandakini River. The Kedarnath temple lies amidst the majestic snow-capped Garhwal Himalayan ranges and is thronged by thousands of tourists each year. 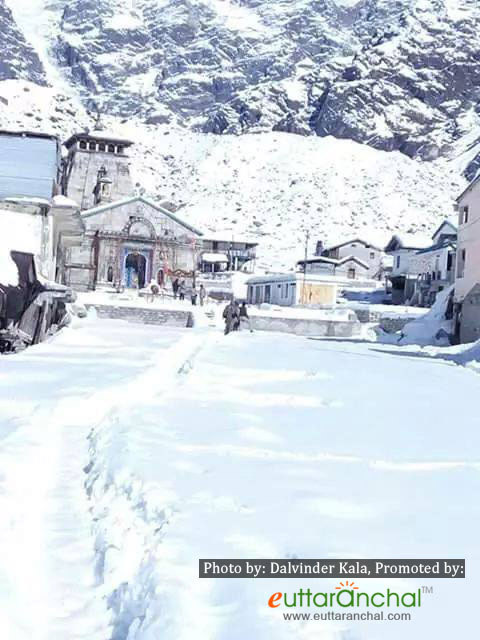 The extreme weather condition of Kedarnath prompts the temple to remain open from the end of April to the beginning of November. It is one of the twelve Jyotirlingas of Kedar or Lord Shiva. In Kedarnath alone there are about more than 200 shrines dedicated to Lord Shiva. On the occasion of Mahashivratri, the 'Badrinath - Kedarnath Samiti' has announced the opening dates of Kedarnath Dham along with Badrinath, Gangotri & Yamunotri dham. Below are the details for Kedarnath temple opening and closing dates. The kapat of Kedarnath dham is scheduled to be open at 5:35 am on 9th of May. The Panchmukhi Doli of Shri Kedarnath will start its journey from its winter seat Ukhimath to Phata on 6th of May, on 7th of May it will reach at Gaurikund and at Kedarnath temple on 8th of May respectively. To book travel packages of Char Dham, please visit Sacred Yatra. Kedarnath Temple Gate Opening Ceremony. Kedarnath Temple Closing date for 2019: Closing date for Kedarnath temple for 2019 session will be updated soon. Kedarnath temple gates has been closed on 9th of Nov for 2018 to 2019 winter session. 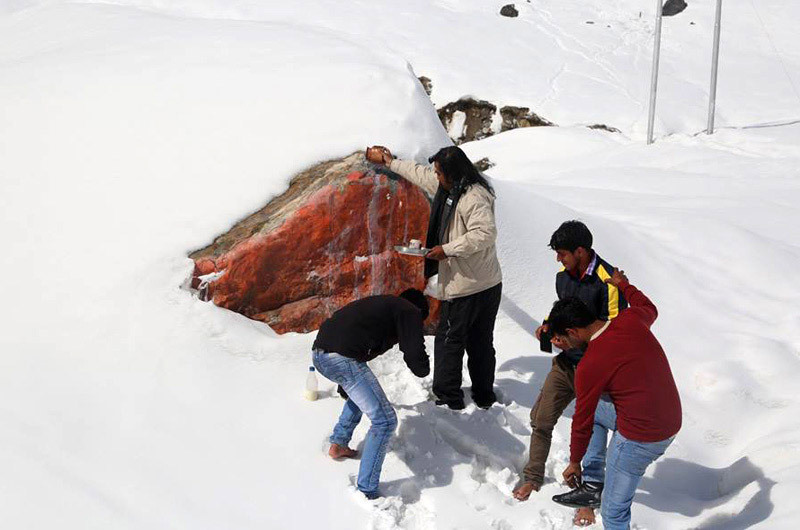 Till then, you can visit the winter shrine of Lord Kedarnath at Ukhimath. As of now there are only Govt Guest Houses, Cottages and Tents available near Kedarnath for accommodation which are sufficient to accommodate more than a thousand pilgrims and tourists. According to Mahabharata, the Pandavas had built the Kedarnath Temple where they pleased Lord Shiva with their penace. The temple was revived by the great Hindu philosopher, Adi Shankaracharya in the 8th century CE, when he visited the place with his four disciples. Sadly, the temple was hit by the catastrophic floods of 2013, which engulfed hundreds innocent lives. There is a famous Hindu mythology related to the origin of Kedarnath temple, which states that after the Mahabharata war, the Pandavas went on an anonymous journey to beg mercy from Lord Shiva. After failing multiple times, Bhima was able to find Lord Shiva, who had incarnated as a bull to hide from the Pandavas. Bhima tried to catch it and hit its hind part with his mace. The injured bull then immersed in the earth and its body parts appeared indifferent places. It is believed that the hind part of the bull appeared at Kedarnath, from which a 'Jyotirlinga' or light flickered and Lord Shiva appeared in his divine avatar. It is said that after taking the blessings of the cosmic light, the Pandavas were exempted of their sins and Lord Shiva toldt hem, “From now onwards, I will be present here as a triangular shaped Jyotir Linga and by paying obeisance at Kedarnath, the devotees would attain piety". From then onwards, a triangular shaped rock is worshiped in the 'Garbhagriha' or the sanctum sanctorum of the temple. The other four parts of Lord Shiva fell at Tungnath, Rudranath, Madhmaheshwar and Kapleshwar. Kedarnath along with these four are also described as Panch Kedar. If you are a traveler/pilgrim who wants to visit Kedarnath and don't know much about how to do Kedarnath Dham then this travel guide is going to help you a lot. Rishikesh is one of the famous cities of north India and Uttarakhand. The city is well connected with rail routes, inter-state & national bus routes. In case if you are coming via flight then Jollygrant airport is just 20km or 35 minutes route. Try to complete this Journey in the night only so you can reach to Rishikesh in the sharp morning to start your road route to Kedarnath. Day 1: Rishikesh To Sonprayag or Gaurikund (211 kms / 8 hours by road). Rudraprayag is the meeting point of two sacred rivers of Hindus i.e Mandakin from Kedarnath & Alaknanda from Badrinath. As instructed by the Uttarakhand government, it is necessary for every traveler to do biometric registration. This registration facility is also available online on the Uttarakhand tourism site. However, if you missed that you can complete this process by reaching Sonprayag. You have to carry your ADHAR CARD with yourself for this registration. Bio-metric registrations of pilgrimage or travelers for Kedarnath Dham yatra or for char Dham yatra. Accommodation facility is from budget to deluxe hotels are available in Sonprayag. Parking facility is also available in Sonprayag in case if you are coming from your personal vehicle. Shuttle service to Gauri Kund, which are actually sharable jeeps. Please keep this in mind that Sonprayag is the last point for all kinds of vehicle. You can't travel by using your personal vehicle or by public transport. A huge parking facility is available at Sonprayag for all kinds of Vehicle on the bank of Mandakini river. You have to complete the further 5km journey by using shuttle service or through jeeps between Sonprayag and Gaurikund. The charge of shuttle service is 20 rupees per person. After reaching Gaurikund you can ask any hotel owner for a room. The charge of the room varies on the hotel to hotel or on season respectively. Least amount you can pay for a hotel room in the month of May and June is 500. 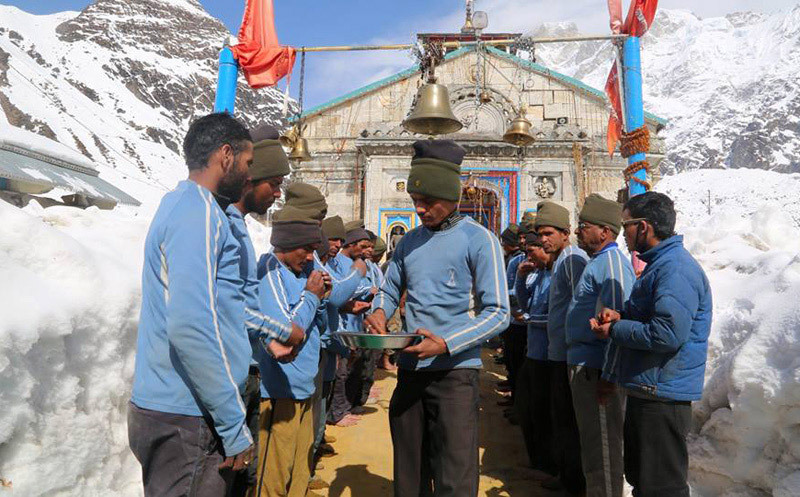 Baba kedar doli at Gaurikund towards kedarnath temple. Day 2 : Gaurikund to Kedarnath (16kms trek / 5 - 6 hours). You can reach Kedarnath only after a trek of 16 km through a paved road from Gaurikund. You can take a horse or ponies to climb up the steep path. Try to start your trek early in the morning to avoid harsh sunlight of noon. Don't try to walk empty stomach it can make your journey even harder. Carry umbrella/raincoat because the weather in the valley can be change dramatically. Walk with good grip shoes and try to carry only necessary things in your bag cause heavy bag can slower your speed in the trek and etc load can hurt your back. Carry water bottles but don't through it anywhere, respect nature. Keep your eyes on trekking route most of the time cause sometimes ponies coming back from the temple can hit you or can cause serious injury. You will probably reach to Kedarnath valley post noon or around 3 pm if you have started your journey at 8 am int he morning. Search for a hotel room for your night stay. Maybe you have to share your room with others if you are traveling alone or if you have enough money then you can book the whole room for yourself or for your family. In the evening you can do photography in the valley and can enjoy the temple atmosphere. You can talk with other travelers from where they have come and about their journey to give some relief to your mind from the tiredness of trek. Walking around the temple and savoring the view of snow-capped Himalayas will surely gonna help to make this day the best day of your life. Eat your dinner & go to bed on time to give rest your body or to get prepare for next day journey. Camps for tourists on the way to Kedarnath. Post 2013 flood route. 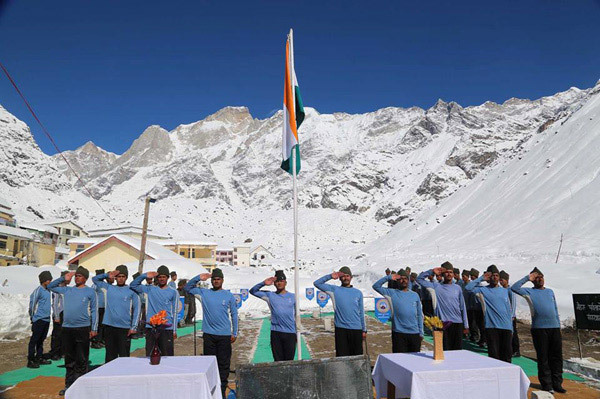 After the flash flood of 2013 which greatly affected the Kedarnath region, it has been restored and work is being done by the Nehru Institute of Mountaineering (NIM) to revive Kedarnath to its former glory. the new trekking path to Kedarnath is now from the right side of the valley which can be reached by crossing a bridge at Rambada, though Rambada is now completely destroyed. The NIM has set up sheds after every kilometer so that pilgrims can rest during the trek. Day 3 : Kedarnath Temple to Sonprayag via Gaurikund (16kms trek / 5 - 6 hours). Try to wake up early in the morning. Take a bath and pay your obeisance at Kedarnath temple. From standing in the temple row to darshan, it will hardly take your 3 hours to complete this process. Prashad shops are available around the Kedarnath temple. After this, you can also visit the Baba Bhairav temple, which is situated on a hilltop near Kedarnath. It is around 600 meters far from the temple. Mules stop - You have to buy a token if you want to cover the trekking route in Kedarnath valley in Mules. eUttaranchal Tip 1 : If you want to visit Bhairavnath temple in Kedarnath then do this after checking out from your hotel room cause there is a small shortcut route from Bhairav temple to another side which will surely be going to save your time while coming back to Sonprayag/Gaurikund. You can hire ponies/horse or Palki or can complete the further distance by simply trekking. It takes 5 to 6 hours to reach Gaurikund from where you have to take shuttle service to Sonprayag. eUttaranchal Tip 2 : If you have reached at Sonprayag around 2 to 3 pm then do travel to Guptkashi (30 km by road / 1.5 hours). It will save you 2 hours for the next day trip and is going to save you from morning traffic too. Day 4 : Guptkashi to Rishikesh ( 184 kms / 7 hours). Say goodbye to this beautiful town of Uttarakhand. The journey will take 7 to 8 hours of your time. It is recommended to start your journey in the sharp morning so you can reach Rishikesh on time to catch night buses or trains. The best time to visit Kedarnath is September to November. In the monsoon season of July and August, Kedarnath receives frequent rainfall which makes trek route slippery, it could be dangerous for old age pilgrims. Although the opening month of Kedarnath i.e May and June are also good to travel but at this time Kedarnath receives very high number of pilgrims from all around the world which makes it very hard to do darshan without avoiding long queues. For instant Darshan & to get budget hotels easily and to avoid the instant weather change, choose September & October month to visit Kedarnath temple. 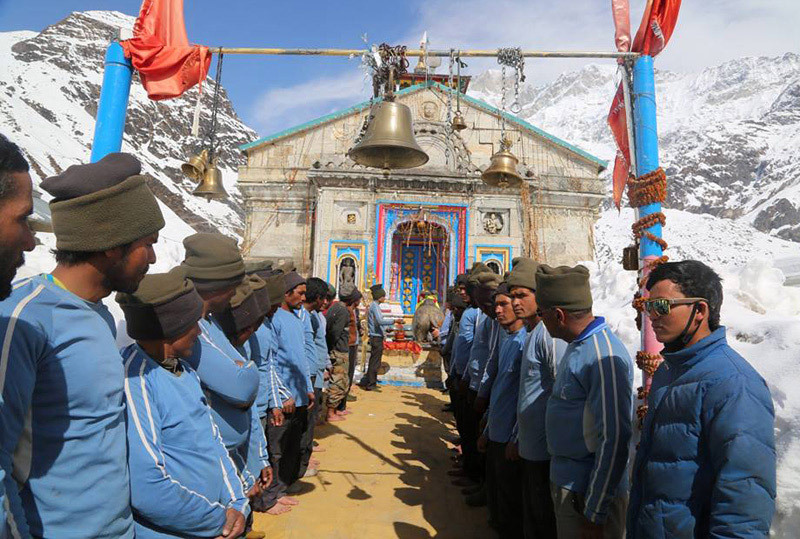 28 March 2019: The High Court of Uttarakhand stays tender process for Char Dham helicopter services, it could effect the upcoming chooper service to Kedarnath. What is Kedarnath famous for? Kedarnath is famous among tourist as Kedarnath Temple, Char Dham Yatra, Trekking, Himalayas, Pilgrimage. Kedarnath is recommended destination for Foreigners, Groups, Solo. Kedarnath is popular destination for following activities/ interests - Char Dham, Char Dham Route, Helipads, Panch Kedar, Pilgrimage, Religious, Shiva Temples, Temples, Trekking.